Lynn Marie Norris will talk to people from New Roots, a program conducted by Cultivate KC, in partnership with Catholic Charities of NE Kansas, to provide a 4-year farm training business incubation program to help refugees start and operate independent vegetable farms that provide healthy, organic, local produce to feed Kansas City. This episode of Radio Active Magazine will feature a discussion with David Neal, who currently serves on the City Council of Merriam, KS as well as the the Information Technology Committee of the National League of Cities. Veterans For Peace is a global organization of Military Veterans and allies whose collective efforts are to build a culture of peace by using our experiences and lifting our voices. 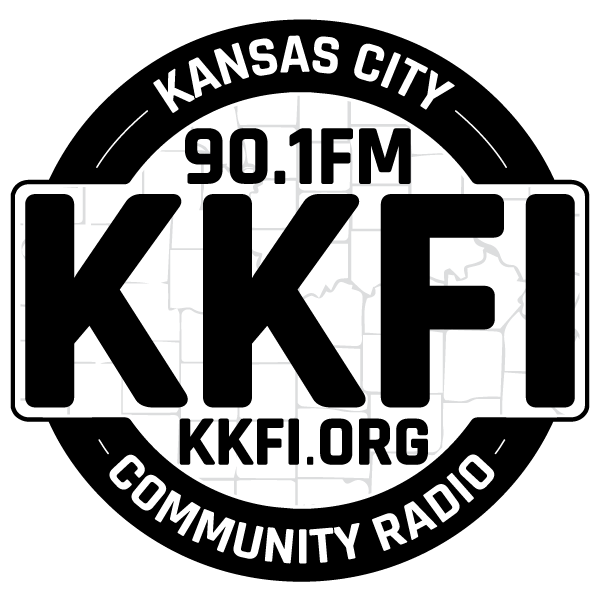 This episode will also include a conversation with Ann Suellentrop of PeaceWorks-Kansas City about their activities. RadioActive Magazine host David Mitchell conducts an informative discussion with two local environmental activists, Roeland Park Mayor Mike Kelly and Shawnee City Councilwoman Lindsey Constance. Kelly and Lindsey are both members of the Metro KC Action Coalition and they use the best selling book Drawdown: The Most Comprehensive Proposal to Replace Global Warming, by Paul Hawking, as a guide. Michael Sharma-Crawford, Immigration Attorney, joins host Craig Lubow for a discussion of the process of seeking asylum and a recent Supreme Court decision that allows indefinite detention of convicted immigrants upon release from jail or prison. Radioactive hosts Tom Huffman and Bill Clause discuss activity of the local chapter of March for Science with activists Malory Smith and Emily Daniel. This episode of Radio Active Magazine is devoted to discussing Mayor James' initiative on the April 2 ballot to fund universal preschool in Kansas City, Missouri. This uses taxing authority restricted to economic development initiatives. This broadcast will combine excerpts from a Feb. 5 presentation by the Mayor and a Feb. 25 press conference by opponents and a live conversation with TJ Berry, Executive Director of the Clay County Economic Development Commission, ending with a brief review of statements on this issue made March 9 by 10 of the 11 candidates for Mayor of KCMO. "Darnell Hunt and Jamie Jackson interview Jamila Medley, Executive Director of the Philadelphia Area Cooperative Alliance about the benefits of worker cooperatives and how coop businesses are transforming communities. Ms Medley also shares advice for those in the Kansas City area who are planning to start an umbrella organization that will facilitate the creation of worker cooperative businesses." An interview by Lynn Marie Norris with Dante Gliniecki, the Emergency Preparedness Manager for the City of Independence, MO, on how to survive the natural disasters most likely to occur in the Kansas City area - winter storms, tornadoes, and floods. Susan Sarachek interviews Bob Grove, President of the Climate Council of Greater Kansas City, on their activities. RAM host Pat Riehle interviews Victoria Pickering, Director of Advocacy for Metropolitan Organization to Counter Sexual Assault. MOCSA has been an important resource for victims of sexual assault for five decades.